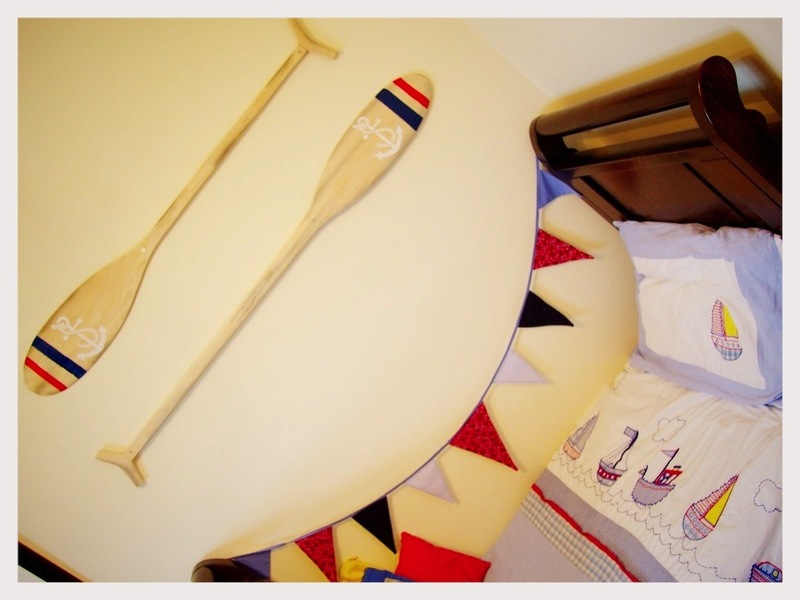 I had these oars in the guest room. I painted two stripes with craft paint from Homebase (as it was quite watery and perfect to soak into the soft wood) and stuck on a vinyl anchor wall decal. Perfect for our future rower .... maybe!